Why Did Dropship Australia Happen? We discovered dropshipping by accident way back in the year 2000, we hadn’t even heard the word Dropship. At the time we owned a traditional bricks and mortar IT and Printing business in rural New South Wales. Due to the long distances to our customers we asked some suppliers if they would deliver our orders directly to them instead of to our shop. They were a bit surprised at first but thought the idea made sense, but we must pay for the products in advance. This worked so well we were able to increase our reach and our customer base increased. Unfortunately we were a bit ahead of our time and there were not a great many suppliers who understood or wanted to dropship for us. In 2004 we decided it was time to not only have an Australian Dropship website, but also one with Verified Australian and International Dropship Suppliers, Wholesalers and Manufacturers. In 2005 we launched the first Dropship Australia website and within a month we had over 700 members without promoting or advertising. We were surprised at the response. What Do We Do At Dropship Australia? 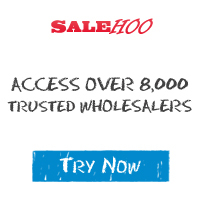 An online directory of dropship suppliers, wholesale suppliers and business service providers. A community forum and business groups where resellers and suppliers can build relationships. A platform to help educate suppliers and resellers and discuss the various areas of the business model. We provide education and support for resellers and suppliers who want to learn more about dropshipping and selling online. Links to resources and tools to help you build and maintain your online business. A members only newsletter to announce new suppliers, business resources and other relevant news. You will also find tools and information that you may use to learn more about selling on eBay, Amazon and setting up your own online eCommerce website. Dropship Australia members are the reason this site exists and why it has been so successful. As a member you will be able to access the suppliers directory and take part in the conversations in the forum, create your own group or register as a supplier to be included in the suppliers directory. We also welcome your ideas and suggestions on how we can serve you better or what could be added to the site to make it more useful. We welcome all suggestions and constructive criticism. Contact us to make your suggestions. If you are a wholesaler, manufacturer or provide business services you can register for inclusion in our Dropship Suppliers Directory. For more information on becoming a supplier click here. All submissions are verified manually to ensure the integrity of the suppliers directory. 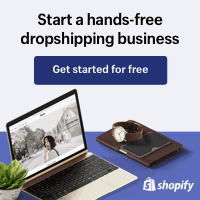 The advantages of providing a dropship service are many but the main reason you would become a dropship supplier is to increase your sales through online marketing conducted by resellers. This is like having your own commission only marketing and sales team. Please visit the Dropship Questions section. If you cannot find an answer to a particular question members can ask their question in the forum .